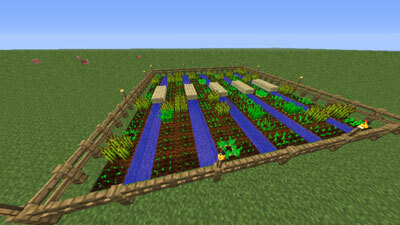 You can farm a variety of plants in Minecraft, some of which provide food, some that you can trade or sell to make profit, and some that you can use to make important utensils. Understanding all of your plant options is also important when designing a garden! Wait until the crops are fully grown. Sugar cane consists of green reeds that grow naturally near bodies of water, and collecting at least one sugar cane block is enough to start a farm, similar to the one shown in the following image. 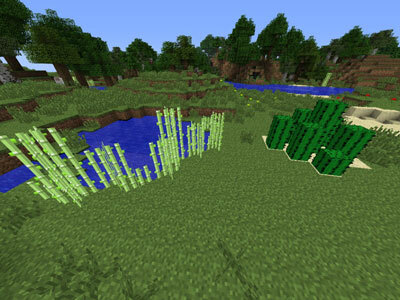 Sugar cane is useful to mass-produce: Paper and items such as bookcases require a lot of reeds to craft, and you can make sugar for items such as cake and potions of swiftness. Find (or make) a place that holds water. Reeds grow only near lakes or pools. They can grow only on grass, dirt, or sand. 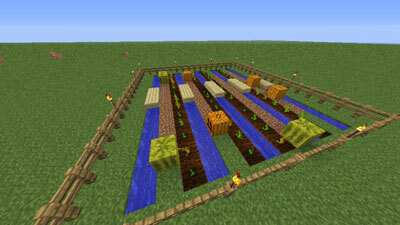 Place canes next to the water in the same way you would place any block. When a patch of reeds is placed where it can grow, it extends vertically until it’s three blocks tall. After the sugar cane is fully grown, harvest all but the bottom block. When you break the stalk blocks in the middle, the top section breaks down into items. The reeds at the bottom begin growing again. The essential concept here is to plant a short patch of reeds, let it grow, and then mow it down so that it can grow again. Require no water and must be placed on sand. Cannot be placed next to other blocks. Are sharp, and they destroy items. Cocoa beans are used to make brown dye and as an ingredient in cookies. The best way to find cocoa beans is to explore a jungle — the beans are found in pods growing off the trees. Though green and yellow pods aren’t fully matured, orange ones provide several cocoa beans when you smash them. Farming cocoa beans is easy. To place a pod, right-click some jungle wood while holding cocoa beans. Then break the pod when it turns orange to harvest lots of cocoa beans. Make a large wall of jungle wood to start your farm. 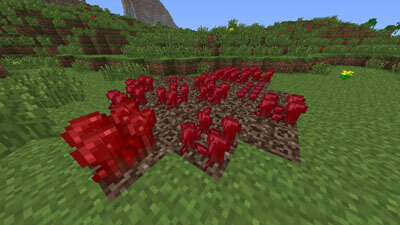 If you plant a square of four jungle saplings and apply bone meal to one of them, a giant tree grows.